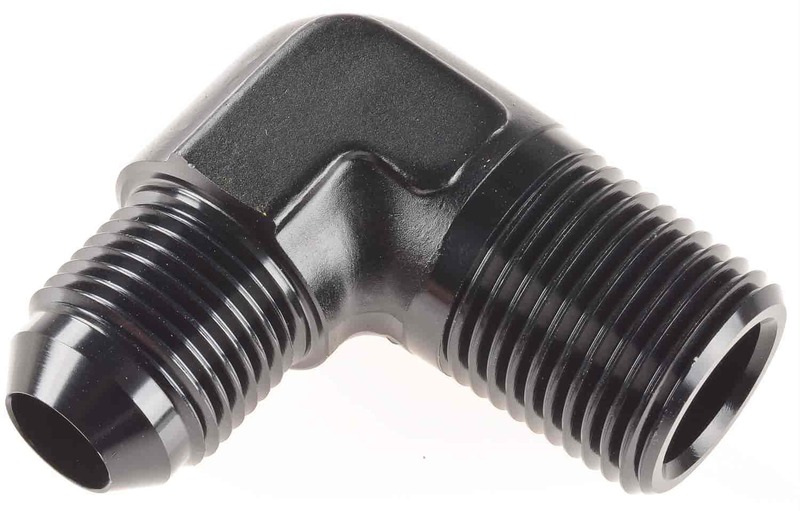 These hose fittings allow you to make professional AN connections from NPT pipe threads. Adapt popular male thread sizes to AN hose in straight, 45°, and 90° configurations. Great for customizing line routings. Nickel plated fittings are recommended for use with fuels that contain high contents of Ethanol, Methanol & Alcohol; such as E85 and other race fuels. 110149 is rated 5.0 out of 5 by 1. Rated 5 out of 5 by SEAHAWK FAN from excellent quality have on my car for 6 months no leaks, no loosening, no flaking of anodizing. and they look great!